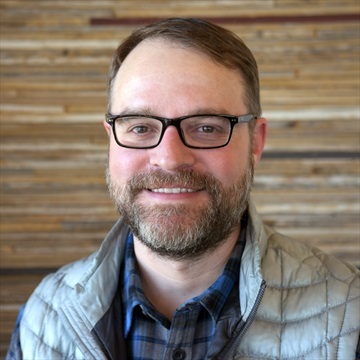 Thad joined TexAgs in 2016 and manages content quality and helps oversee the coordinated efforts of our team. 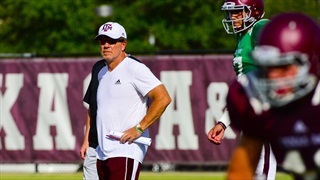 Unofficially and occasionally he has worked with TexAgs since 2005, including co-hosting the original TexAgs Podcast (now TexAgs Radio), fan-blogging TexAgs road trips, and handling PR for special moments like A&M moving to the SEC and Brandon being attacked on Kyle Field by visiting coaches. 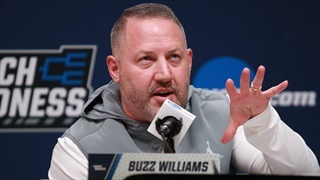 Buzz Williams has arrived in Aggieland to take the helm of Texas A&M basketball, and Thad Norvell provides live notes as the Aggies introduce their new head coach at Reed Arena. 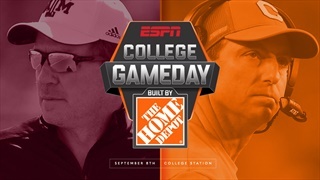 The buzz for the showdown between the Aggies and second-ranked Tigers was going to be intense no matter what, but the volume cranked up a notch when ESPN when officially announced College Gameday will broadcast from the shadows of Kyle Field next Saturday. Jimbo Fisher speaks to the media a week prior to next Thursday's season opener against Northwestern State. 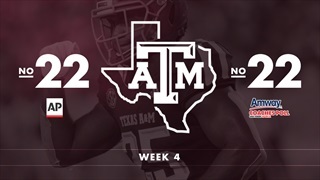 Follow along as TexAgs provides live updates from the press conference. 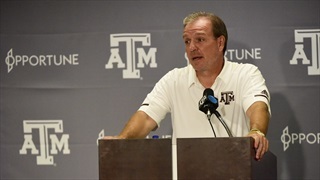 Jimbo Fisher, the two A&M coordinators and players address the media at Texas A&M's annual media day. 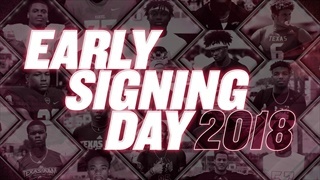 Follow along as TexAgs gives live updates from the press conference.